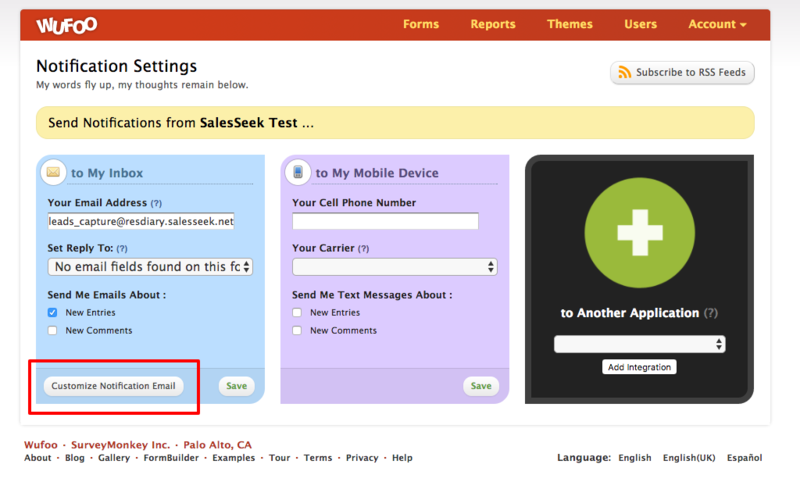 Automatically send leads from WuFoo forms directly into SalesSeek. Here are the steps to connect WuFoo Forms and SalesSeek. Automatically add leads who are filling out your forms and bring them directly into SalesSeek with the information added to the correct fields. Create your form with the desired fields in WuFoo and save. DO NOT use multiple choice fields as they are not supported. 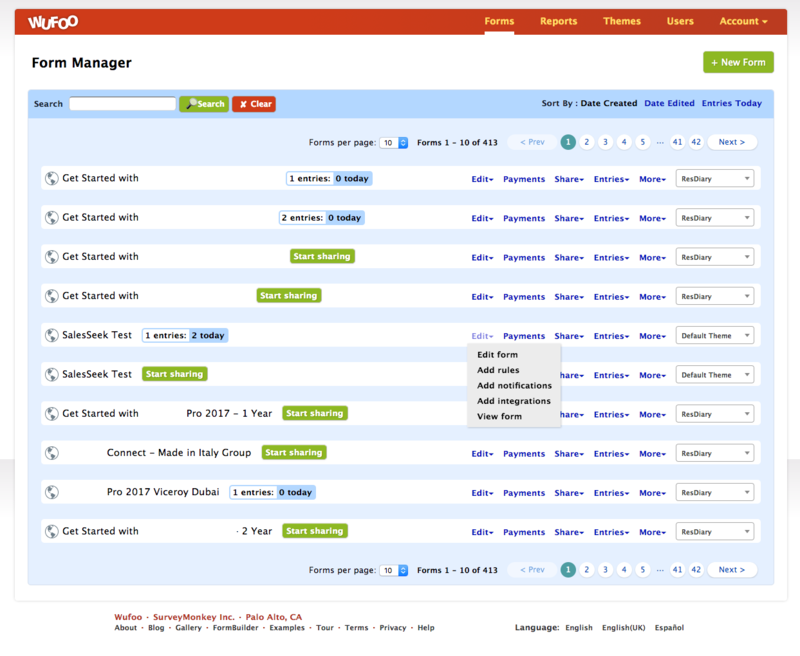 Open the 'Form Manager' view. Go to the form you wish to capture leads and add to SalesSeek. Click on the 'Edit' drop-down and select 'Add Notifications'. Add your unique account email to capture leads (available from app settings > web > Third Party Form Leads). 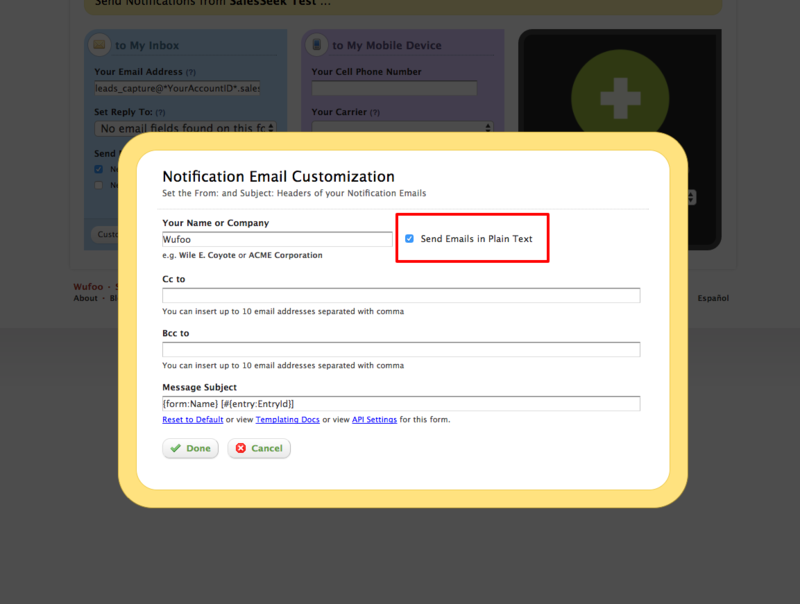 Check the box to 'Send Email in Plain Text'. 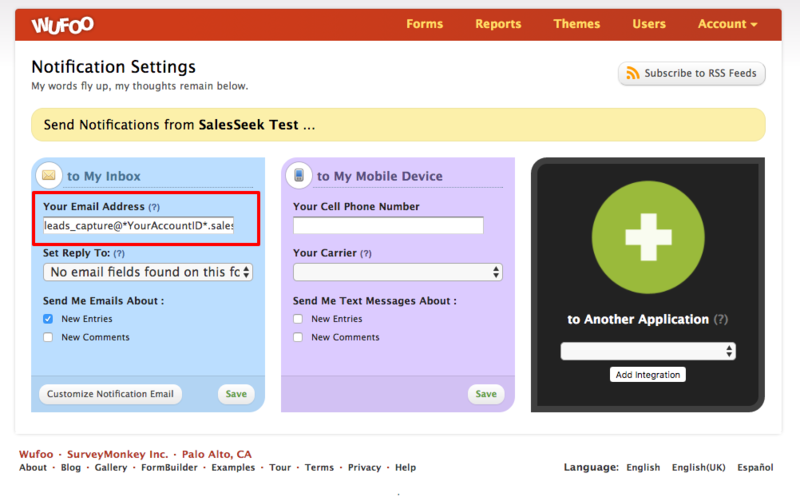 Go to your SalesSeek account and follow the steps for Third Party Form Lead Capture.